For the unwary, there are two lengths of 'short' nose cones fitted to Box Saloons and presumably other contemporary Austin Seven models (1931-1934). The RN Saloon had a nose cone with an overall length of 7¼", the later 4 speed gearbox RN and the RP Saloons had a 6½" nose cone. The difference in length is ¾". To be accurate the A7 Source Book states the difference is 13/16", but all items I've measured come out to ¾". The starting handle shaft was also a different length by ¾", that is shaft lengths of 77/8" and 71/8" respectively. The difference is because the crankcase introduced with the 4 speed gearbox sat further forward in the chassis (starter motor on offside of engine). 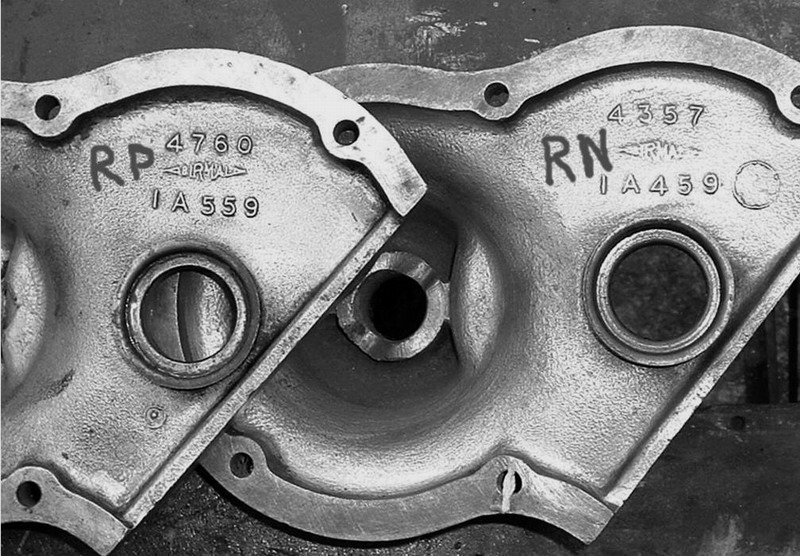 The crankcase feet were repositioned further back on the moulding, so the chassis holes remained in the same position, also the fan spindle, starting handle shaft and it's housing were shortened by ¾". Some references say the radiator was also moved forward, but this does not appear to be correct because you can swap bonnets between the two models without any fitting problems. On the RN Saloon the length of the fan pulley from the fan belt groove to the rear of the fan casting is 1" and the clearance between the fan and radiator is 5/8". On the RP Saloon, the dimensions are ½" and ⅜" respectively. That is ¾" difference. Some of our members have bought the RP nose cone to fit on a RN and wondered why it did not protrude out of the Radiator shell, others with RP's have wondered why their nose cone (RN) has stuck out so far, especially if they have tried to use the (RP) shorter starting handle shaft. 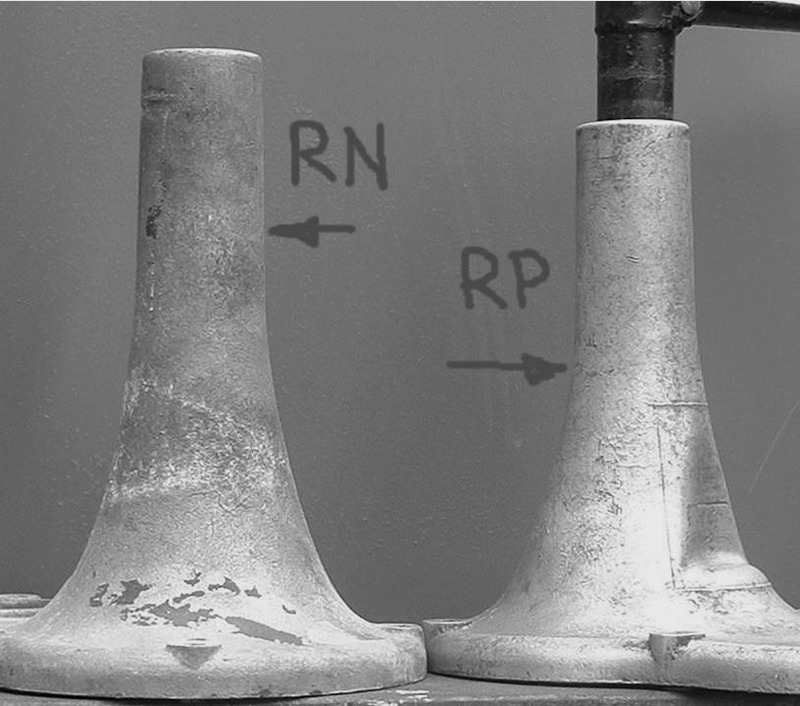 The 6½" RP nose cone has a moulding number of 1A559, RN moulding number is 1A459. This article, written by Sandy Croall, originally appeared in CA7C Seven Focus April 2004 pp 6-7.